We have power washed and sanded,etc. New redwood deck in Utah. Need weather and UV protection, but love the look of the new redwood and don't want to darken it too much. 1- Are all 1500 series products semi-transparent? 2- Is "Natural 1530" the name of a color only or is it actually clear/natural? 3- Would you still recommend allowing new redwood to weather some before staining, even in the harsh heat/sun and snowy winters of Utah? Is this stain safe for a child's wooden swing set? You cannot cover or mask a taupe semi-solid with a semi-transparent rustic. It will show through. We have stripped old weathered semi-solid stain from our cedar deck. It is now very bright and yellow, and looks pretty well stripped when dry - but in the rain you can see lots of bits of old stain still there. Perhaps a light sanding will help? (it's roughed up from pressure washing, so needs sanding anyway). Our painter suggested "Rustic" - enough pigment to help cover. But I"m worried it will look blotchy over those spots. The original color was a taupe, so I'm thinking of ordering a sample of "prairie gray" to see if it might blend and look less blotchy. What do you think? Thank you! That's a little long. Can you break it into 2-3 parts? I have a very large deck. Typically takes 3-4 hours to complete staining floor boards. Is this an acceptable duration for TWP1500 to go back and stain wet on wet? Also is 1500 good for Northern IL? 500 is not available anymore. You would want the 1500. Newly purchased home in CT. Deck (about 5 years old) has IPE flooring and cedar (or mahogany) railings. Previously stained (Cabot Timber Oil, I think). I believe I need to strip and brighten. IS 500 OR 1500 SERIES THE BEST BET? Kimmedoll, best the use the 100 series for this deck and area. Any of the colors would work well for you. Make sure to prep the wood first with the Gemini Restore Kit. I have a 2 month old new pressure treated pine deck. It is unfinished wood. My house is made of brick (slightly orange colored) and siding (creamy butter beige yellow) with white trim around the windows. I live in lower east Tennessee on the border of GA and AL. 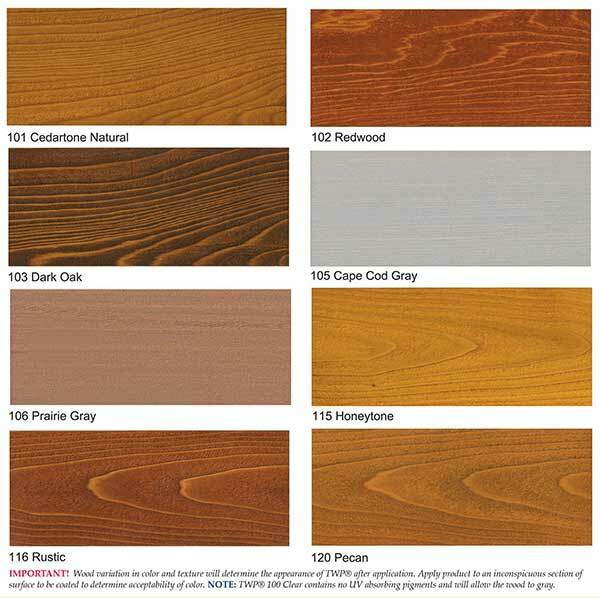 I am overwhelmed by picking a stain for my deck. 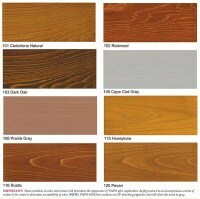 I was thinking about a white painted deck but I am really undecided. Could you recommend the process and TWP products/color that would look and hold up best along with the timeline I should follow before/after using products. Thanks so much. Linda, Either color would work for this. Make sure to prep the wood correctly first. 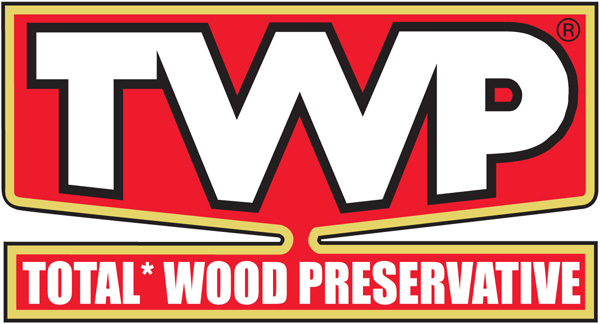 Use the Gemini Restore Kit to prep the wood for a recoat of the TWP 1500. We need to stain cedar beams in Hill Country of Texas. They had a natural coat of stain 2 1/2 years ago. 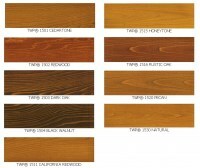 Would the Dark Oak 1503 or the rustice 1515 be our best choice. Used rustic 1500 last summer in New Jersey. Next summer will be two years. How do I prepare for a fresh coat? Thanks. Ron, either would work well for you.